France gets it when it comes to pesticides. Lawmakers in the country just approved plans to totally ban some widely used pesticides blamed for harming bees, going above and beyond European Union (EU) restrictions. Two years ago, the EU limited the use of neonicotinoid chemicals, commonly known as neonics, produced by companies including Bayer CropScience and Syngenta, after studies showed the pesticides threatened bees, which play a vital role in pollinating crops. Farmer groups, too, are upset with the move, saying there are no viable alternatives to neonics, and a full ban would put the country at a disadvantage over other crop producing nations in the EU. France’s National Assembly passed the ban by a narrow majority late Thursday as part of a draft bill on biodiversity that also places an additional tax on palm oil. The bill would not go into effect until September 1, 2018, later than the January 2017 deadline that some lawmakers had proposed. The proposed neonicotinoid ban, supported by France’s environment minister, must still clear the regulatory hurdle of passing before the French Senate, before a final vote in the National Assembly is expected mid-year. Agriculture Minister Stephane Le Foll is against the ban, and has been piloting a wider French plan to halve pesticide use. However, Le Foll had to move back the initial target for reaching that goal in the face of rising farm chemical use by 7 years, partly due to weather patterns, including a wet summer in 2014 that increased crop disease. He believes a total ban could hurt farmers in the EU’s biggest crop producing country. 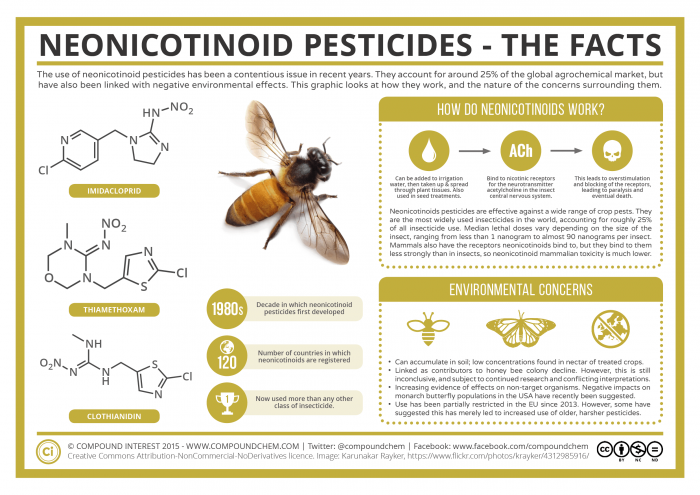 “The scientific evidence against neonicotinoids is growing all the time. Moves in France to tighten restrictions beyond those currently in place across Europe are a sensible response to the threat these pesticides pose to a range of wildlife, including bees.